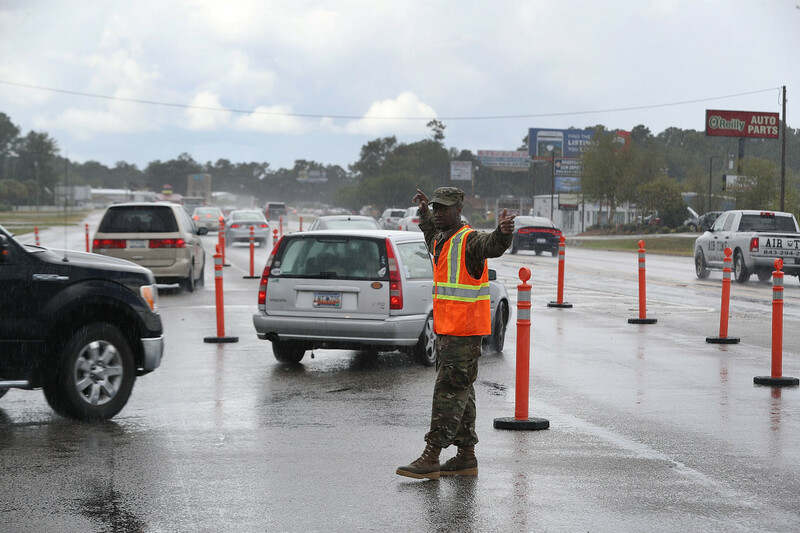 Traequan Shaw of the South Carolina National Guard directs traffic onto U.S. 501 in Myrtle Beach after the South Carolina government ordered that traffic use all the lanes on the route leading away from the coast to facilitate evacuation ahead of the arrival of Hurricane Florence on September 11th, 2018. As the East Coast braces for Hurricane Florence&apos;s expected landfall as early as Thursday evening, some effects will be obvious: 130 mile per hour winds whipped up by the Category 3 storm, the rain expected to drench the Carolinas as it stalls overhead, and flooding that forecasters are calling "catastrophic." But the storm also poses less obvious risks, from rivers of toxic waste to prisons that refuse to budge. 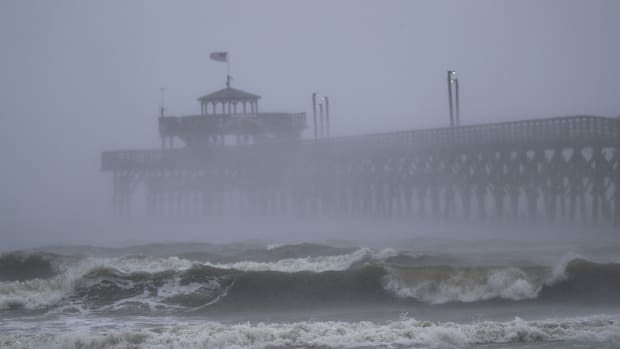 Officials have called for widespread evacuations; experts say even people who live far inland may be affected, due to a strong storm surge that will rush from the coast and overflow rivers. "This storm is going to be intense, likely historic and deadly," North Carolina Governor Roy Cooper said Tuesday, according to NPR. "We&apos;re asking people not to try to ride out a monster." 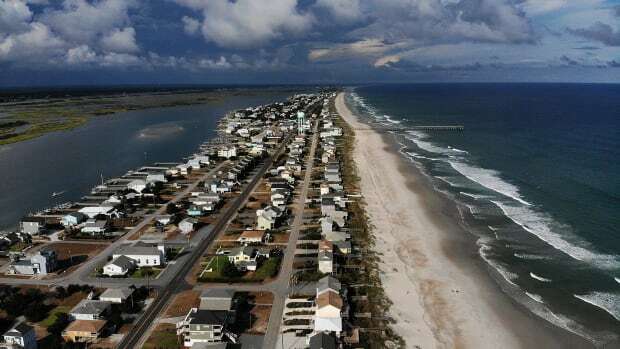 As Carolinians seek refuge ahead of the storm, here&apos;s what you need to know about Hurricane Florence&apos;s more hidden dangers. 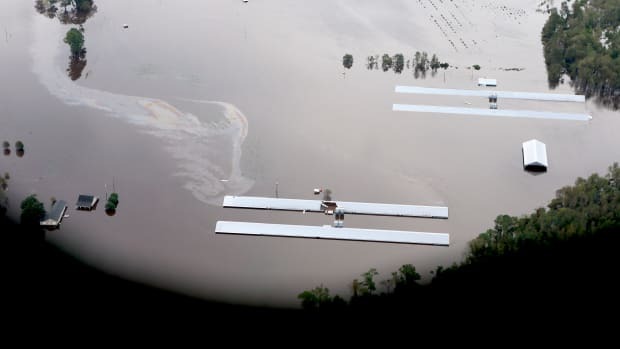 Forecasters predict three feet of rain will drench flood-prone plains in eastern North Carolina, turning waste from the area&apos;s many industrial hog farms into a toxic sludge. The manure pits, called lagoons, could wash into homes and drinking water, the Associated Press reports. 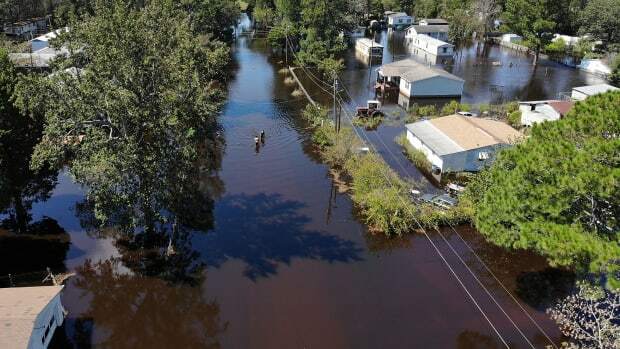 North Carolinians lived this horror first in 1999, during Hurricane Floyd, and again after 2016&apos;s Hurricane Matthew—and yet regulation has not caught up in time to prevent it from happening again. In the aftermath of Floyd, "feces and urine soaked the terrain and flowed into rivers," the New York Times reported in 1999, while animal carcasses floated amid the sludge. During Matthew, untreated contaminants flowed from flooded lagoons across multiple counties, possibly spreading bacteria and viruses. Accounts are both graphic and extreme: "Floodwaters are running through poultry confinement buildings, killing the animals inside," the water advocacy group Waterkeeper Alliance wrote in a 2016 report. In response to lawsuits from environmental groups, the North Carolina Department of Environmental Quality moved to regulate waste treatment more tightly, according to Feedstuffs.com, an industry outlet. But for now, the lagoons remain. Piles of toxic waste from coal-burning power plants also lie in Florence&apos;s path. Inundated by floodwaters, the coal ash could spill into rivers and drinking water, contaminating them with arsenic and heavy metals, Inside Climate News reports. Environmentalists warn that many of the area&apos;s 71 coal ash impoundments are located near rivers, predicted to swell with Florence&apos;s storm surge. Duke Energy Corporation was ordered to clean these ponds up two years ago, according to Time, but the efforts may come too late; when the Category 1 Hurricane Matthew struck in 2016, one cooling pond ruptured, and a river spilled over into a coal ash dump, according to a water advocacy group report. Florence, already a Category 3 storm, is expected to be much worse. More than a million people have evacuated across the Carolinas. Not included in that million? The nearly 1,000 inmates of a South Carolina prison. The state&apos;s Department of Corrections (SCDC) ordered Ridgeland Correctional Institution staff to stay put, despite mandatory evacuation orders, the State, a newspaper based in Columbia, South Carolina, reports. "Right now, we&apos;re not in the process of moving inmates," SCDC spokesman Dexter Lee told the State. "In the past, it&apos;s been safer to leave them there." This may not be true, according to a 2016 State report; during Hurricane Matthew, one inmate died at the prison in what then-Governor Nikki Haley called an "unrelated" incident. Meanwhile, in North Carolina, officials told the Charlottesville Observer that several hundred inmates were being evacuated Tuesday. A massive pipeline project that has flouted environmental regulations in the past has halted construction as the storm approaches. According an ICIS industry report, the Mountain Valley Pipeline is removing equipment from the floodplain. "Precautionary measures have been implemented to address potential issues," the company said. 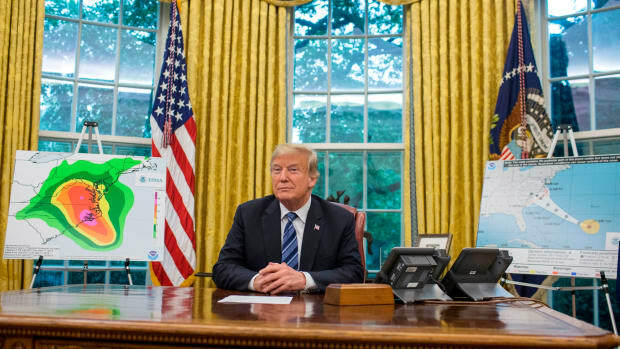 However, the pipeline&apos;s record shows a failure to account for environmental risks, such as soil erosion that could harm waterways and wildlife during a flood, according to a ProPublica report. In July, the Virginia Department of Environmental Quality accused the company of failing to install erosion-control devices and thus contaminating 8,800 feet of streams, the Roanoke Times reports. Despite these concerns, federal agencies green-lit the project—and now, environmental groups fear the worst. "MVP has failed with the normal rainfalls we have in this area," Sandy Schlaudecker, chair of the grassroots environmental justice group Preserve Montgomery County, said in an email to ThinkProgress. "I have great doubts that anything they have done will be enough." Florence&apos;s rainfall, experts predict, will be well beyond "normal." 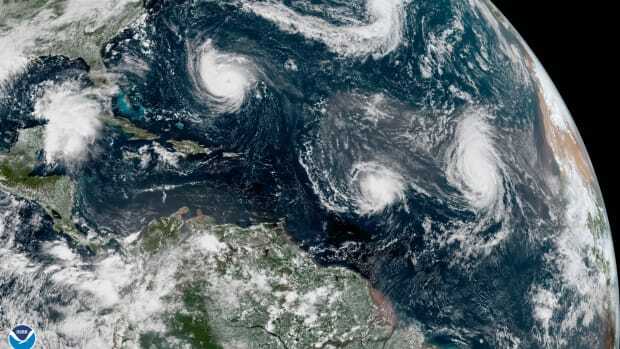 Multiple intense storms are moving across the Atlantic and the Pacific, with millions of people in their paths.